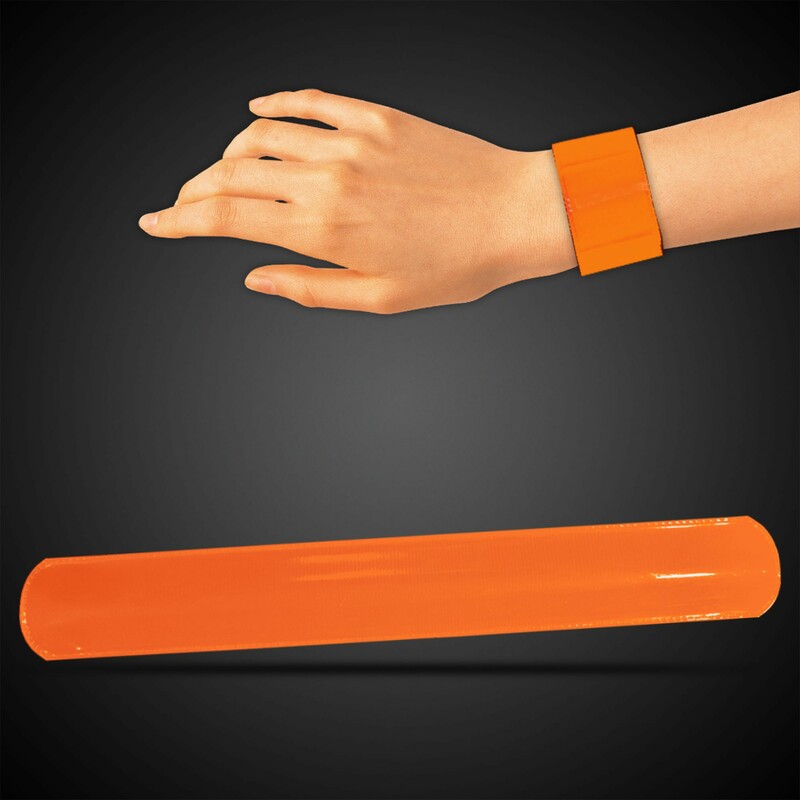 This classic style slap bracelet comes in a variety of vibrant colors and has a slightly reflective property. Priced by the individual slap bracelet. Please order in increments of 1 dozen per color. 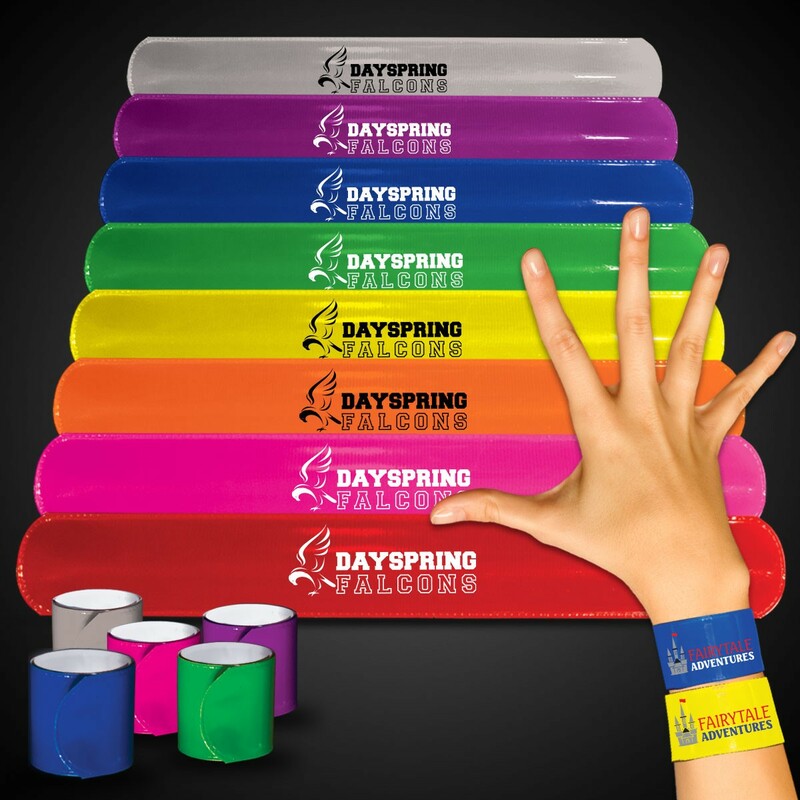 Wear your company's name or logo on your sleeve with these eye catching brightly colored 8 ¾" slap bracelets. 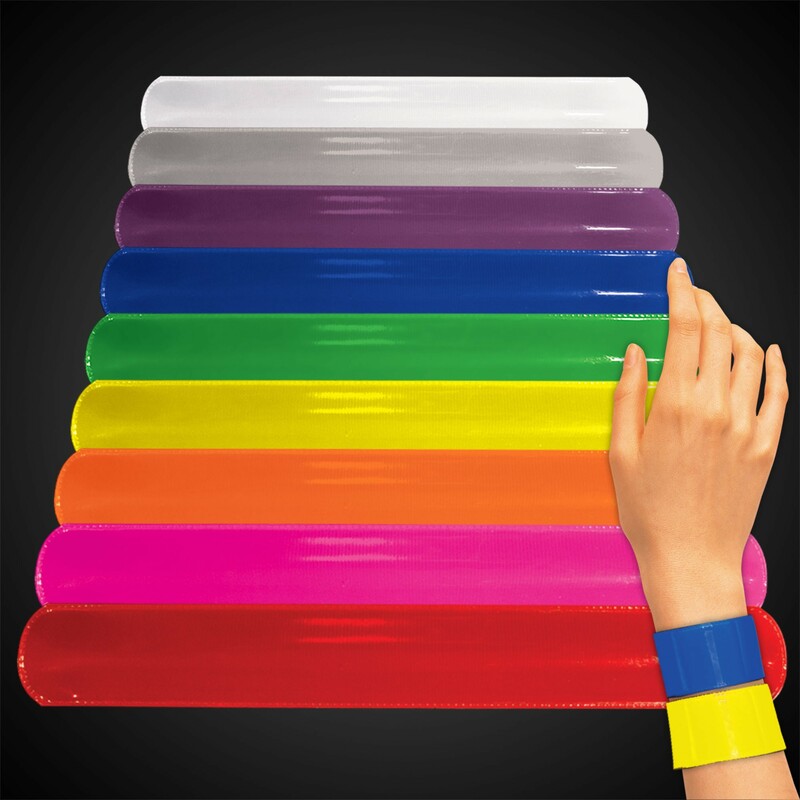 Pick a bold color to go with your logo for a great looking and fun promotional item. Perfect for handing out at conventions or as a wristband at other events. IMPORTANT: Please Note, the shades of the product color may vary slightly since we might need to use different dye lots on orders of large quantities. Sorry, we cannot guarantee color assortment. This product is a member of our fast ship program. 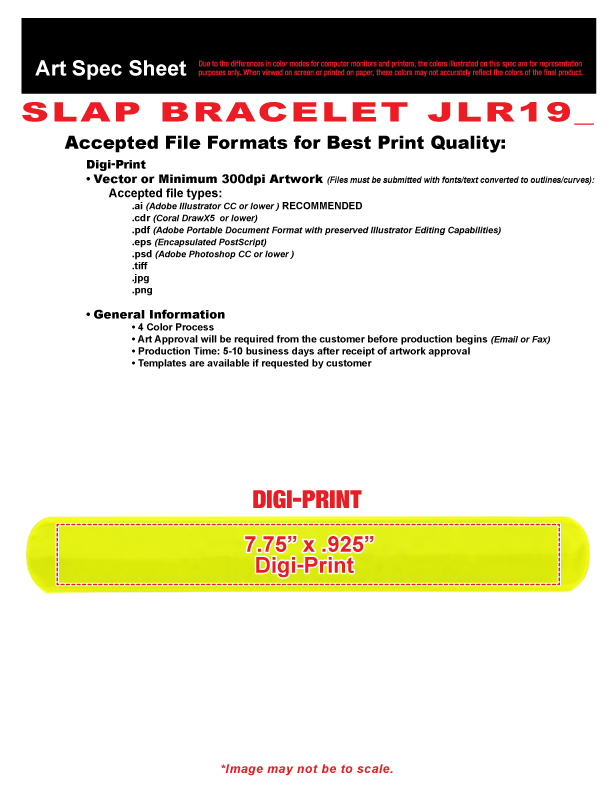 We can ship this item (up to 1000 imprinted pieces) within 24 hours after artwork is approved. Rush Fees May Apply, Please Inquire. DIGI-PRINT IS NOW AVAILABLE!! 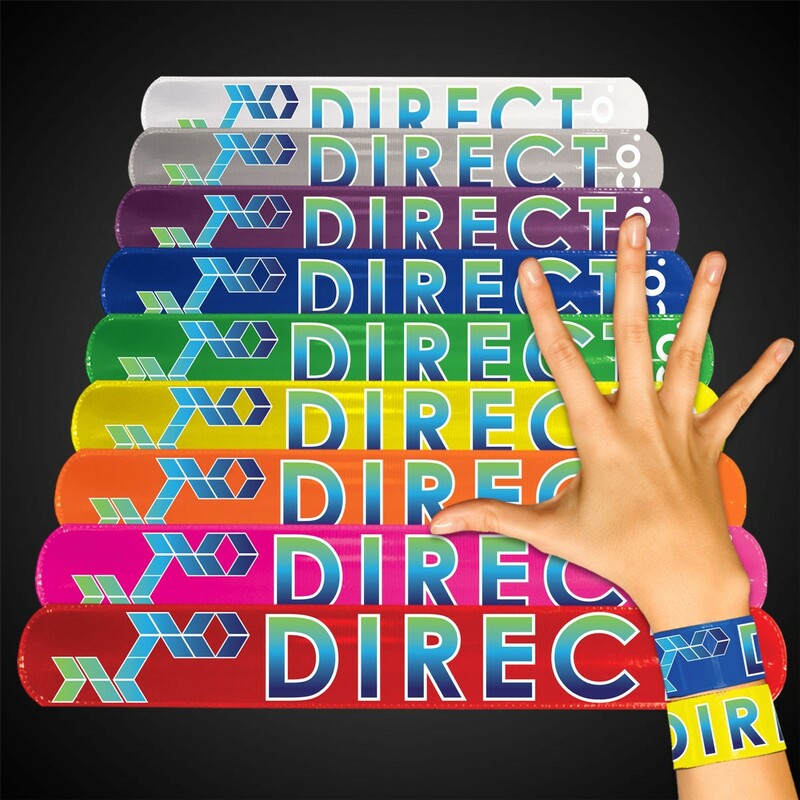 We now offer DIGI-PRINT and almost edge to edge decorating on all our Slap Bracelets IT'S AMAZING! Please call if you have questions. Above pricing includes a 1 color imprint in 1 location. For all imprinting add a Set-up fee of $55 (v). We may offer additional locations and up to 4 spot colors, PMS matches acceptable @ $14 (v) per color. For each additional location and for each additional spot color add a Set-up fee of $55 (v) and a running charge of $.25 (v) per color, per location pad print only.. Imprint Minimum is 204 pcs. Imprint Method: Pad Print Only or DIGI-PRINT(at an additional cost). Production Time: 5-10 business days after receipt of artwork and approval. All items are packed and sold in incremental quantities such as dozen, gross, pack, units etc. Unless otherwise indicated in the item description, your cost will be the per piece price x the increment indicated. Please order in those increments when indicated. If you have any questions, please call us to confirm whether the price is per piece or per increment.